Qwizdom is an award-winning developer of interactive learning solutions that enhance presentation delivery and user engagement. With over 30 years of industry experience, Qwizdom audience response solutions offer the highest performance and reliability. Qwizdom solutions capture data in seconds with just a click of a button. Software designed for simplicity, and compatible with PowerPoint, makes Qwizdom the number one choice for audience response. Qwizdom response solutions provide you with a way to review, track & monitor learning, understanding & opinions across time. Qwizdom’s audience response app transforms any smart device into a polling system. Participants can connect to a training session using an iPad, smartphone, tablet, or any Web-enabled device. Live feedback can be viewed privately by the trainer or displayed live on each user’s device. 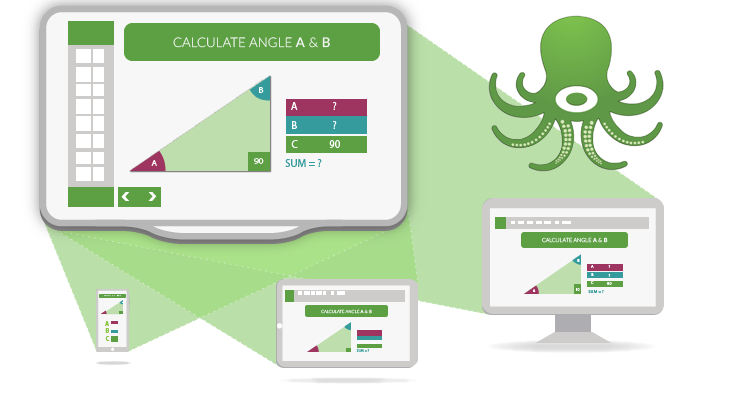 Oktopus is an interactive presentation and collaboration software designed for use with any interactive whiteboard, interactive projector and any interactive touch screen flat panel display. And you can Work over ANY content or application. Qwizdom’s Oktopus comes packaged with 5 Qwizdom Notes+ licenses that enhance classroom or boardroom collaboration. Instructors can instantly share content as participants follow along on their personal devices, taking notes, answering questions and sharing annotations over the top of any live lesson.